The Cardinals bats were hot in this first game of a four game series against the Marlins at Busch Stadium. The offense put 14 runs on the board on 15 hits, five for extra bases. St. Louis put four runs up in the first inning. A Matt Carpenter single followed by a Tommy Pham triple plated the first run. The next three came home on a Stephen Piscotty single, a Yadier Molina sac fly, and a Luke Voit groundout. If that inning wasn’t big enough, the Cardinals scored seven more runs in the third. Jedd Gyorko singled, Molina singled, and Voit doubled to scored Gyorko. Adam Wainwright’s two run single plated Molina and Voit. Carpenter’s sac fly brought in Paul DeJong, who had been intentionally walked. Tommy Pham drew a walk, Piscotty singled and Gyorko took a free pass that scored Wainwright. Molina then doubled, which brought Pham and Piscotty home. Pham’s single in the seventh put another run on the board, and a two run home run by Voit in the eighth put the final touches on St. Louis’ scoring. Starter Adam Wainwright did not fare as well on the mound, however. The right hander pitched five innings and gave up all six Marlins’ runs on eight hits. Wainwright did strike out eight and walked one, and still got the win, his ninth. Luke Weaver, Tyler Lyons, Matt Bowman and Sam Tuivailala each pitched a scoreless inning. In Game 2 of the series, the Cardinals bats cooled off. Their only two runs came on a Greg Garcia two run home run in the fifth inning. The only Cardinal with multiple hits was Matt Carpenter, who was 2-for-4. Carpenter made a throwing error, his sixth of the season. Starter Lance Lynn pitched 6 1/3 innings, giving up four runs, two earned, on six hits. The right hander fanned five and walked one. In relief, Tyler Lyons surrendered an additional run. John Brebbia, Trevor Rosenthal, and Seung-Hwan Oh each pitched a scoreless inning. The long ball doomed the Cardinals, as the Marlins launched four home runs. Starter Mike Leake served up three of the four, and was out of the game after 3 2/3 innings. The right hander gave up eight runs total, but only three were earned due to fielding errors in the second inning by Matt Carpenter and Luke Voit. John Brebbia got the last out of the fourth. Luke Weaver followed with two scoreless innings. Matt Bowman and Brett Cecil each tossed a scoreless frame. Seung-Hwan Oh pitched the ninth, and gave up the fourth Marlins home run, a solo shot by Justin Bour. The Cardinals scored six runs on nine hits. Tommy Pham had the only extra base hits, two doubles that plated three runs. Pham was 2-for-5 and had an outfield assist. Jose Martinez was 2-for-4 with two runs scored. Greg Garcia was also 2-for-4. Matt Carpenter and Jedd Gyorko each plated a run on a sac fly. Stephen Piscotty drove in a run on a third inning single. The Cardinals edged the Marlins in the fourth and final game to split the series. Starter Michael Wacha pitched 5 2/3 innings, giving up two runs on six hits while fanning nine and walking two. Wacha earned his sixth win. Matt Bowman got the final out of the sixth inning. Tyler Lyons started the seventh, gave up one run on two hits, but only secured one out. Brett Cecil finished the inning, and returned to pitch a scoreless eighth. Seung-Hwan Oh added a scoreless ninth to earn his 17th save. Two of the Cardinals’ four scores came via solo home runs. Luke Voit’s was in the second inning and Randal Grichuk followed in the sixth. Voit was 3-for-4 with three RBI, also plating two runs on a third inning double. Jedd Gyorko was 2-for-4. The Cardinals were defeated by the Mets in a close one. This was the opener of the final series before the All-Star break. It was All-Star Carlos Martinez’ last start before the trip to Miami, but it was not a good one. The right hander pitched five innings, giving up five runs on seven hits, including two home runs. Martinez struck out four and walked three and was tagged with his eighth loss of the season. John Brebbia surrendered one unearned run in 1 1/3 innings pitched. Lyons took over with one out in the seventh and got the final two outs without further damage. Sam Tuivailala and Trevor Rosenthal pitched a scoreless eighth and ninth. Four solo home runs were the bulk of St. Louis’ offense. Randal Grichuk and Paul DeJong hit their home runs in the third inning. Dexter Fowler and Jedd Gyorko followed with theirs the next inning. The final Cardinals run came via a Gyorko sac fly in the eighth. Gyorko was 2-for-3. Matt Carpenter was 2-for-4, and Paul DeJong was 3-for-4. Gyorko made a throwing error and Carpenter committed a fielding error. Grichuk and Stephen Piscotty each had an outfield assist. In the second game of the series, the Cardinals prevailed, with Adam Wainwright earning his 10th win of the season. Wainwright pitched 6 2/3 innings, giving up one run on five hits. The right hander fanned seven and walked none. Matt Bowman got the final out of the seventh. Brett Cecil pitched a scoreless eighth. Seung-Hwan Oh added a scoreless ninth to collect his 18th save of the season. Paul DeJong got the scoring going with a solo home in the third. Yadier Molina doubled in the sixth to plate the second run. In the seventh, Stephen Piscotty added an RBI single, and in the eighth, DeJong doubled in the fourth run. DeJong was 4-for-4 with two runs scored. Molina was 2-for-4 and Luke Voit was 2-for-3. Tommy Pham stole his 10th and 11th bases of the season, but was also caught stealing for the fourth time. Molina was also caught stealing, his third caught stealing of the season. The Cardinals shut out the Mets in the final game before the All-Star break, taking the series two games to one. Tommy Pham and Paul DeJong continued their hot hitting, though Pham had to leave the game early with hip tightness. Pham hit a two run home run in the third inning and was 3-for-3 with two runs scored. DeJong launched a solo home run in the fourth and was 2-for-4. Dexter Fowler was also 2-for-4. Luke Voit’s solo home run in the sixth was his only hit. Jedd Gyorko drove in the first Cardinals run on a ground out in the first inning. Yadier Molina plated a run on a single in the fifth. Starter Lance Lynn pitched a gem. The right hander tossed seven scoreless innings, allowing only three hits, striking out two and issuing one free pass. Trevor Rosenthal struck out the side in the eighth, and John Brebbia pitched a scoreless ninth. As I mentioned last week, the Cardinals would play two struggling teams in the week before the break and had the chance to end the first half at .500 or above. The Redbirds failed to so this, losing two games to the Marlins and one to the Mets to enter the break two games below .500. This ties with them with the Cubs and leaves both teams 5.5 games behind the Brewers. This is not an insurmountable obstacle, but it will take much better playing by the Cardinals in the second half to win the division. Starting pitching appears to be the current issue, when ironically it was the bright spot for the Cardinals earlier in the season. The bullpen has improved greatly, but the entire pitching staff can’t seem to operate on all cylinders at the same time. The offense is holding its own, with some lapses, as is the defense. Base running continues to be an issue. The Cardinals ended the week 4-3 and as mentioned, tied with the Cubs for second place in the NL Central. 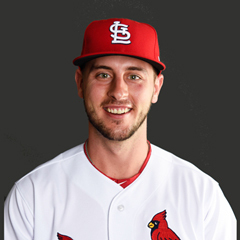 Paul DeJong is batting .476 with an OPS of 1.522. He has 2 HRs, 5 doubles, and 3 RBI. In fact, DeJong set a franchise record with seven extra-base hits in the three-game Mets series. Jedd Gyorko is batting .400 with an OPS of 1.117. He has 1 HR, 1 double, and 4 RBI. Tommy Pham is batting .333 with an OPS of 1.054. He has 1 HR, 1 triple, 2 doubles, and 7 RBI. Luke Voit is batting .320 with an OPS of 1.050. He has 2 HRs, 3 doubles, and 7 RBI. Trevor Rosenthal has an ERA of 0.00 and a WHIP of 0.00. Matt Bowman has an ERA of 0.00 and a WHIP of 0.75. Alex Mejia is batting .125 with an OPS of .250. Stephen Piscotty is batting .222 with an OPS of .509. Yadier Molina is batting .231 with an OPS of .596. Randal Grichuk is batting .125 with an OPS of .567. Carlos Martinez has an ERA of 9.00 and a WHIP of 2.10. Mike Leake has an ERA of 7.36 and a WHIP of 2.73. Tyler Lyons has an ERA of 6.75 and a WHIP of 2.25. The number 2 hitter has been Pham for five games, and Stephen Piscotty for two games. The number 3 hitter has been Piscotty for four games, Jose Martinez for one game, Pham for one game, and Dexter Fowler for one game. The number 4 hitter has been Jedd Gyorko for five games, and Luke Voit for two games. The number 6 hitter has been Randal Grichuk for three games, Luke Voit for three games, and Martinez for one game. The number 7 hitter has been Grichuk for three games, Paul DeJong for two games, Voit for one game, and Greg Garcia for one game. The number 8 hitter has been Greg Garcia for three games, DeJong for three games, and Alex Mejia for one game. Jon Morosi of MLB.com reports that the Cardinals have interest in Blue Jays third baseman Josh Donaldson. Morosi further states that according to his sources, the Cardinals and the Blue Jays had not begun formal trade talks as of Tuesday, July 4. 7/3 The Cardinals optioned RHP Mike Mayers to the Memphis Redbirds. 7/3 The Cardinals recalled RHP Luke Weaver from the Memphis Redbirds. 7/4 The Cardinals sent LHP Zach Duke on a rehab assignment to the Palm Beach Cardinals. 7/5 The Cardinals sent 2B Kolten Wong on a rehab assignment to the Springfield Cardinals. 7/7 The Cardinals activated OF Dexter Fowler from the 10 day disabled list. 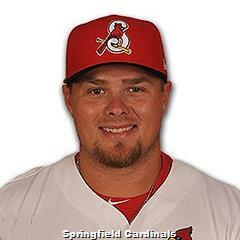 7/7 The Cardinals sent LHP Zach Duke on a rehab assignment to the Memphis Redbirds. 7/7 The Cardinals sent LHP Kevin Siegrist on a rehab assignment to the Springfield Cardinals. 7/7 The Cardinals optioned OF Jose Martinez to the Memphis Redbirds. 2B Kolten Wong (right triceps strain) was sent on a rehab assignment to the Springfield Cardinals. Wong is expected to return to the St. Louis after the All-Star break. LHP Kevin Siegrist (cervical sprain) was sent on a rehab assignment to the Springfield Cardinals. Siegrist is expected return to the St. Louis roster after the All-Star break. LHP pitcher Zach Duke (elbow surgery) was sent on a rehab assignment to the Gulf Coast League, then Palm Beach, and then to the Memphis Redbirds. No date for his return has been announced. OF Tommy Pham left Sunday’s game with right hip tightness. There has been no indication that the injury is serious. The All-Star break begins on Monday, July 10 with the All-Star game to be played on Tuesday, July 11. The Cardinals have two players on the National League All-Star roster, Carlos Martinez and Yadier Molina. Regular season games resume on Friday, July 14. The Cardinals will travel to Pittsburgh to take on the Pirates in a weekend series. Mike Matheny announced in his Sunday post-game presser that the starters for the first series after the break will be Mike Leake, Lance Lynn, and Carlos Martinez. Following the series in Pittsburgh, the Cardinals travel to New York for a four-game set against the Mets. The road trip continues with a trip to Chicago to play the Cubs over the July 21-23 weekend. The Cardinals return home following the Cubs series for a three-game series with the Rockies. Beginning on Thursday, July 27, the Cardinals will play a four-game set against the Diamondbacks at Busch Stadium. The All-Star break is here, which means the Home Run Derby and the All-Star Game are coming up shortly. It’s a good time to discuss a little history of the All-Star Game and Cardinals history together. The first All-Star Game was held on July 6, 1933 in Chicago’s Comiskey Park, as part of the 1933 World’s Fair. It was initially planned as a one-time event, but the success of the game led to it continuing and becoming an annual event. The record in the 87 previous All-Star Games is 43 for the NL, 42 for the AL, and 2 ties. The two longest games were 15 inning games in 1967 and 2008. The Home Run Derby started in 1985, relatively quietly, before first being televised by ESPN in 1993. The format for the Derby has changed many times over the years. The first winner in 1985 was Dave Parker of the Cincinnati Reds in the Derby held in the Metrodome in Minnesota. The player who won the Derby the most was Ken Griffey Jr, three times, in 1994, 1998, and 1999. The most home runs in a single round was 28 by Josh Hamilton in 2008. The most home runs in the entire derby was 61 by Giancarlo Stanton in 2016. Now for some Cardinals All-Star History. Four Cardinals were chosen for the first game in 1933. They were second baseman Frankie Frisch, pitcher Bill Hallahan, third baseman Pepper Martin, and catcher Jim Wilson. The Cardinal with the most All-Star Game appearances is Stan Musial, with 20. Six Cardinals hit home runs in the All-Star Game. Stan Musial homered in six All-Star Games: 1948, 1949, 1951, 1955, 1956, and 1960. Also going deep in the All-Star Game were Frankie Frisch (1933 and 1934), Ken Boyer (1960 and 1964), Joe “Ducky” Medwick (1934), Red Schoendienst (1950) and Reggie Smith (1974, as a pinch hitter). The Cardinals have hosted the All-Star Game twice, in 1966 and 2009. The Cardinals have two All-Stars this year, Carlos Martinez and Yadier Molina. Last year, Aledmys Diaz replaced injured Matt Carpenter. The most Cardinals to be sent to an All-Star Game in a single year is eight in 1943. This year’s All-Star Game will be the 88th installment. Let’s hope it is a memorable one. Go National League!